Adam Hadwin’s solid play of late has propelled him to the top of the Canadian golf rankings. The Abbotsford, B.C. native ended Mackenzie Hughes’ nine week reign as the No. 1 ranked pro in Canada. Hadwin finished tied for 49th at the PGA’s Farmers Insurance Open, which was good for 1.30 world ranking points – his fifth consecutive points paying finish on the PGA Tour. Hadwin has picked up 79 places in the world rankings since the start of the year. The only other player having a better start to the year, rankings wise, is Corey Conners. The Team Canada Young Pro squad member posted his second straight top-10 result on the Web.com Tour, finishing tied for 7th at the Bahamas Great Abaco Classic. The result was worth 2.38 world ranking points and vaulted him 58 places in the rankings. Coupled with his tie for 5th a couple of weeks ago, the No. 7 ranked Canadian has gained 126 spots in the world rankings since the start of the year. Other notable results: No. 2 Mackenzie Hughes, No. 4 Graham DeLaet and No. 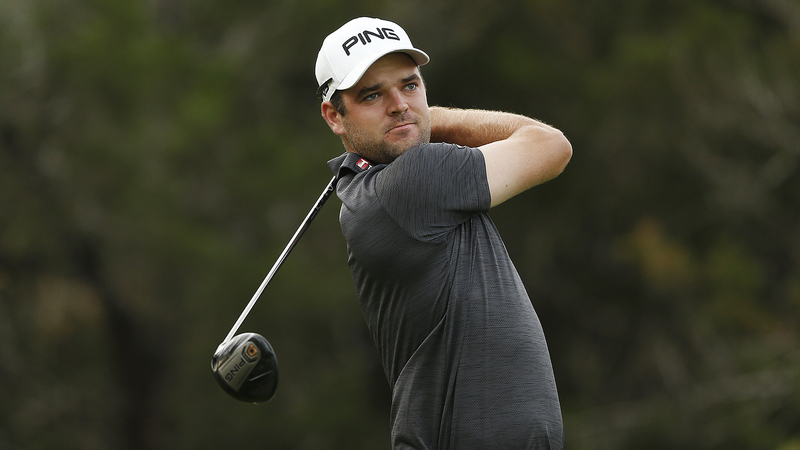 5 Nick Taylor all finished tied for 54th at PGA Farmers Insurance Open; No. 6 Brad Fritsch finished tied for 67th at PGA Farmers Insurance Open; No. 8 Roger Sloan and No. 9 Adam Svensson both missed the cut at Web.com Tour event in the Bahamas; No. 10 Richard T. Lee finished tied for 34th at Asian Tour/Japanese Tour event in Myanmar. Click here for Men’s Official World Golf Rankings. Brooke Henderson lost a spot in the world rankings, falling to No. 9 behind South Korean So Yeon Ryu. Henderson, who was as high as 7th after shooting a second round 64, finished in a tie for 21st in the season opening LPGA event in the Bahamas. Maude-Aimee Leblanc was the biggest mover inside the Top-10, picking up five spots after finishing in a tie for 24th at the LPGA event in the Bahamas. After rounds of 72-71, the Quebec golfer posted a pair of sub-70 rounds to finish out the weekend, going 68-69. Two changes in the Top-10 as Augusta James takes over No. 4 ranking in Canada by climbing one place while Brittany Marchand moves up to No. 8. Outside Top-10, Jennifer Ha made her LPGA rookie debut, missing the cut at the event in the Bahamas. The Golf Canada Young Pro squad member did manage to climb three places in the world rankings and moved up to No. 14 in Canada. Click here for full Women’s Rolex World Rankings. Stuart Macdonald made the biggest gain among the Top-10 following his tie for fifth at the Avondale Amateur in Australia. The result saw the Vancouver golfer climb 41 places in the world rankings, moving him up to No. 8 in Canada. 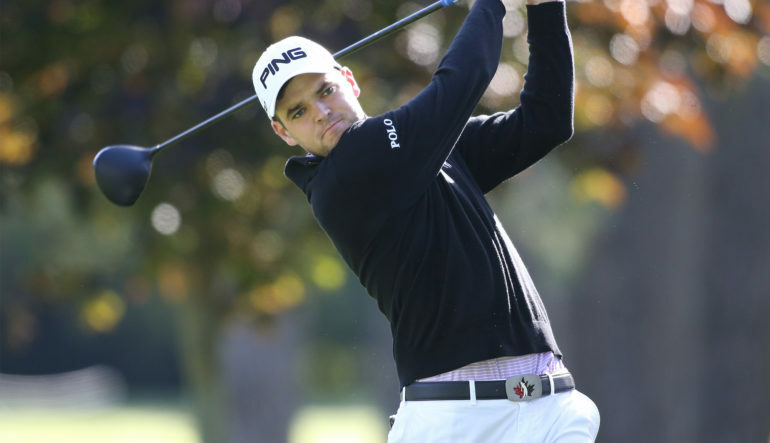 The Team Canada Amateur Squad member was coming off a round of 16 result at the Australian Amateur and will look to continue his strong play at the upcoming New South Wales Amateur. Positive gains all around for the rest of the Top-10 as the collegiate golf season gets set to resume this month. Hugo Bernard climbed three places to reach No. 99 in the world, giving Canada three amateur players now ranked inside the top 100 in the world. Biggest move: Henry Lee gained 282 spots in the world rankings after finishing in a tie for 29th at the Arizona Intercollegiate, helping the University of Washington to a third place finish at the event. Complete World Amateur Golf Rankings can be found here. There were no significant changes in the women’s rankings over the past seven days. 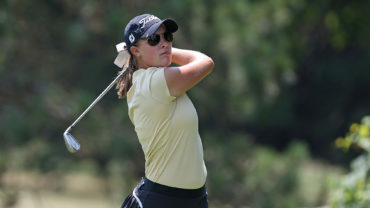 Biggest Move: Four golfers tied for this honour the past week as Kim Carrington, Emily Romkey, Daria Leidenius and Alexandra LeBlanc all gained 10 places in the world rankings.